Reno’s Classic Kickoff Show is Back! 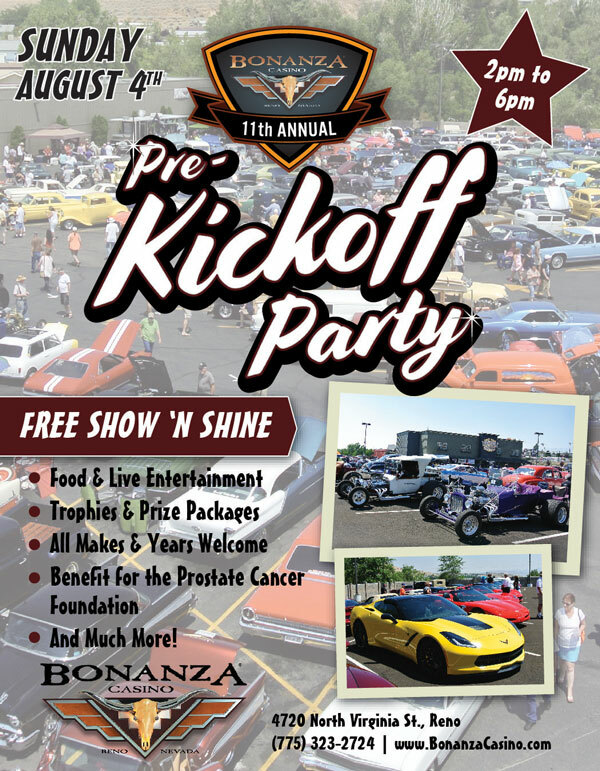 The 11th Annual Bonanza Casino Pre-Kickoff Party on August 4th from 2pm – 6pm will feature the hottest classic cars, trucks, hot rods, roadsters and customs in Northern Nevada. Registration is FREE and OPEN TO ALL MAKES & YEARS!